The Milwaukee Cable Cutting Pliers feature a forged head for lasting durability and high cut quality through the toughest applications. 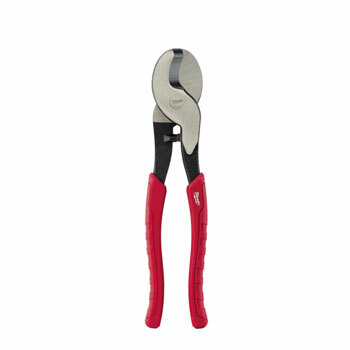 The Cable Cutting Pliers are designed with an optimized blade angle that will remain sharp when cutting through copper and aluminum cable. The Cable Cutting Pliers offer rust protection for tough jobsite conditions, and feature a curved ergonomic handle with comfort grips that will not peel.